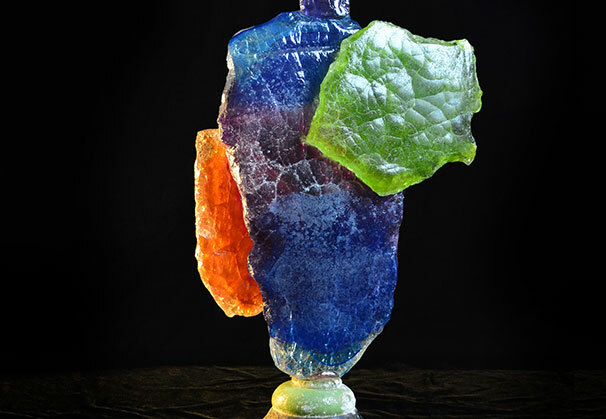 Louis Sclafani arrived in Venice in 1976, and had the opportunity to work in the Rosin studio for three years. There he experienced the work of, and became friends with, many of the Venitian masters. 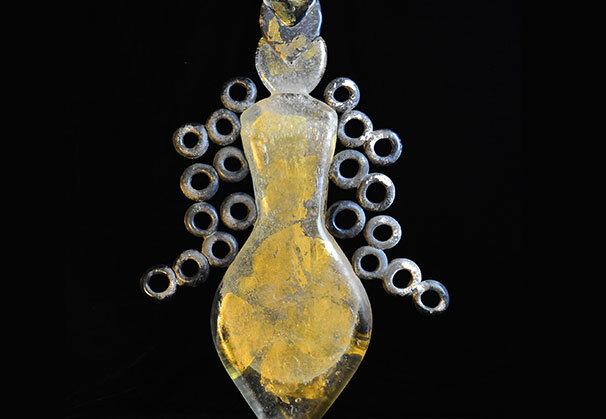 Fascinated with the many aspects of the material, Sclafani’s work is ever changing and prolific. He approaches his studio as if a laboratory, creating new methods. 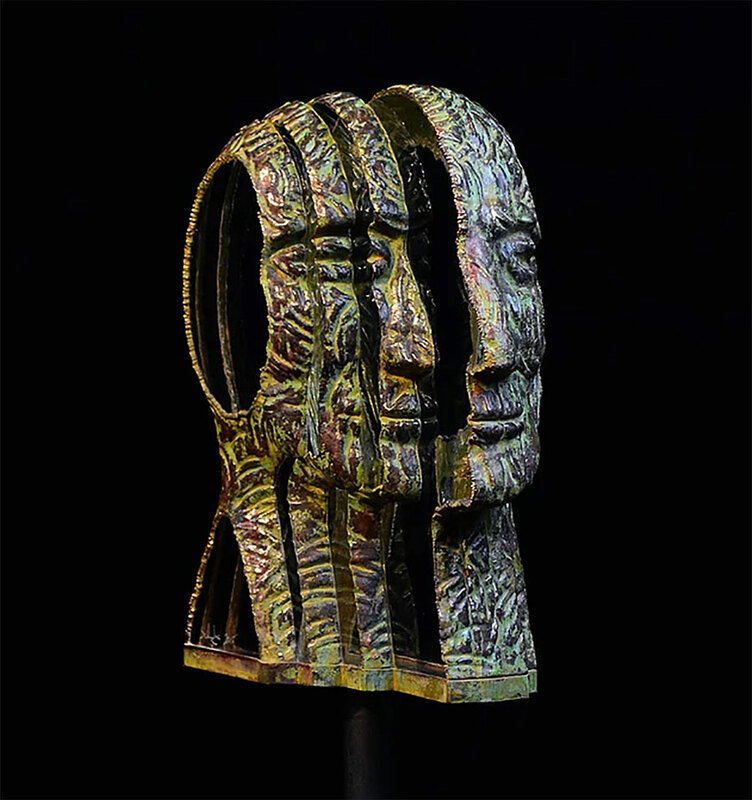 Sclafani is represented by Ai Bo Gallery, Purchase, New York. 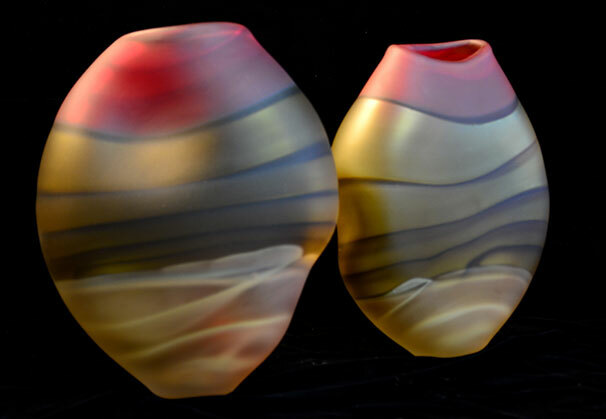 Over my 42-year journey as a glassblower, my exploration of this material has taken many directions, such as working solid, hot glass off of the pipe; blowing glass; and carving glass. 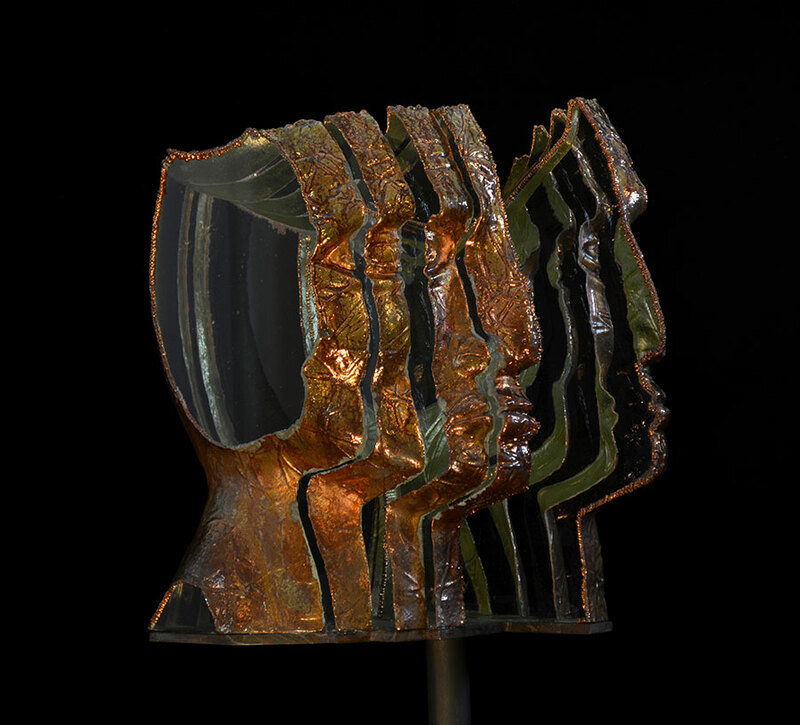 My latest series, Portraits, explores carving and sculpting glass into multi-faceted works. 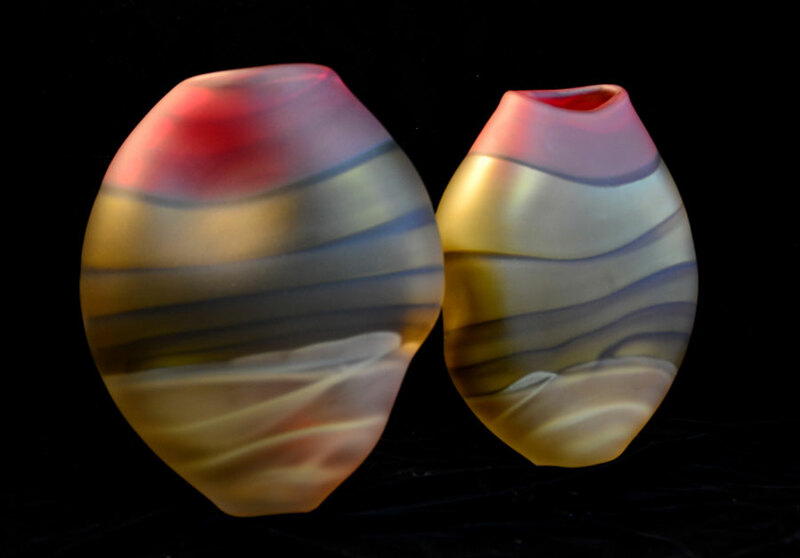 In the early days of running my glass shop as a designer maker, I focused on creating functional pieces. To this day, my studio reflects the wide range of different kind of work with this inspiring material. 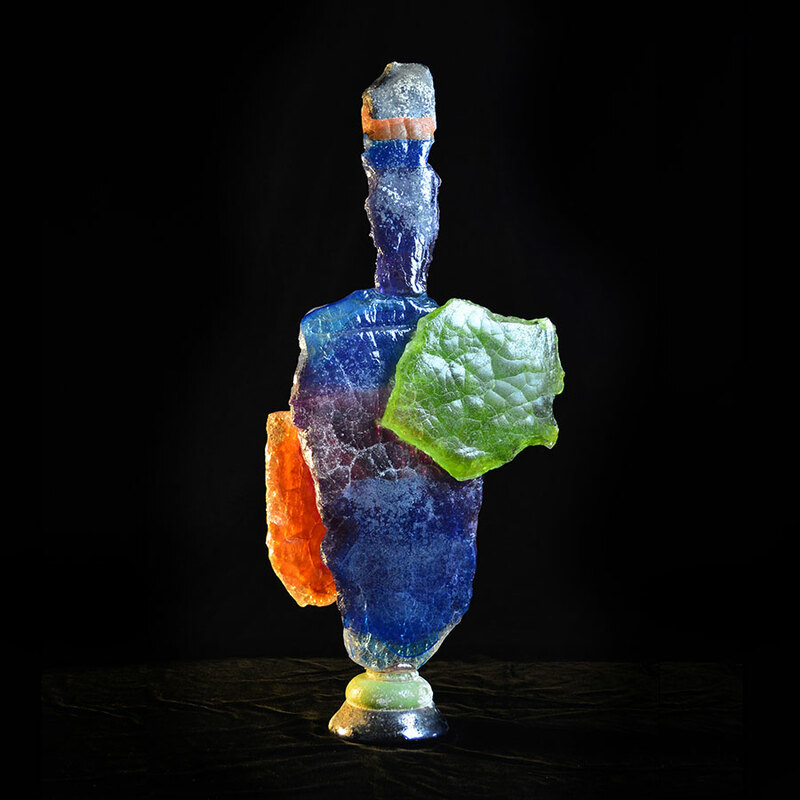 The Bottle series and Watercolor series are both an exploration of dealing with the transparency and color of glass as a watercolor. Glass is the only material that holds its color forever. The Fish series, large scale intensely colored sculptures of imagined fish in motion is a series created in memory of my father who was a fishmonger. 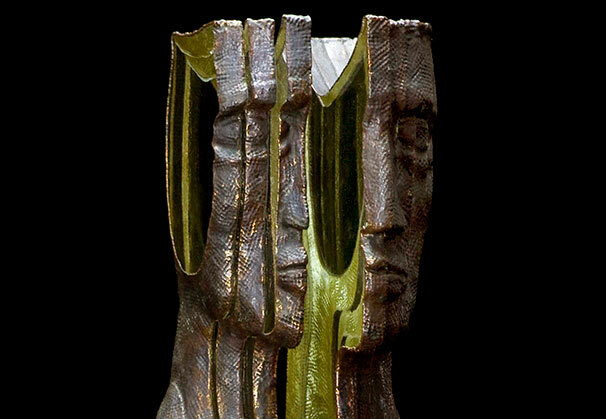 Portraits, my latest body of work pays homage to masters such as Giacometti and Rodin. In my youth, I had a summer job landscaping at the Hirschorn estate in Greenwich, Connecticut. There, I saw sculpture of Giacometti and Rodin which left a deep and lasting impression on me. Later, the collection was moved to Washington, D.C. 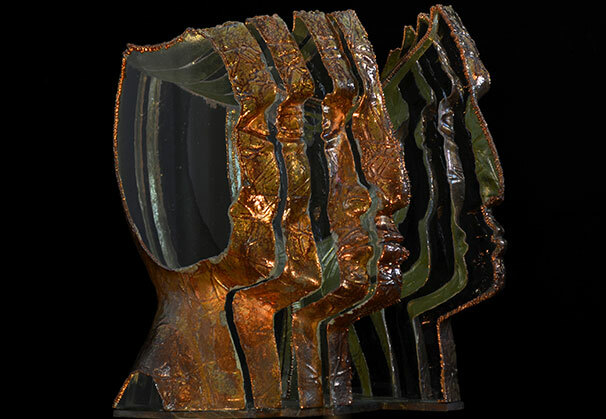 In developing the Portrait series, I am interested in the play of light of the various layers of glass and the organic copper skin that encases the work. 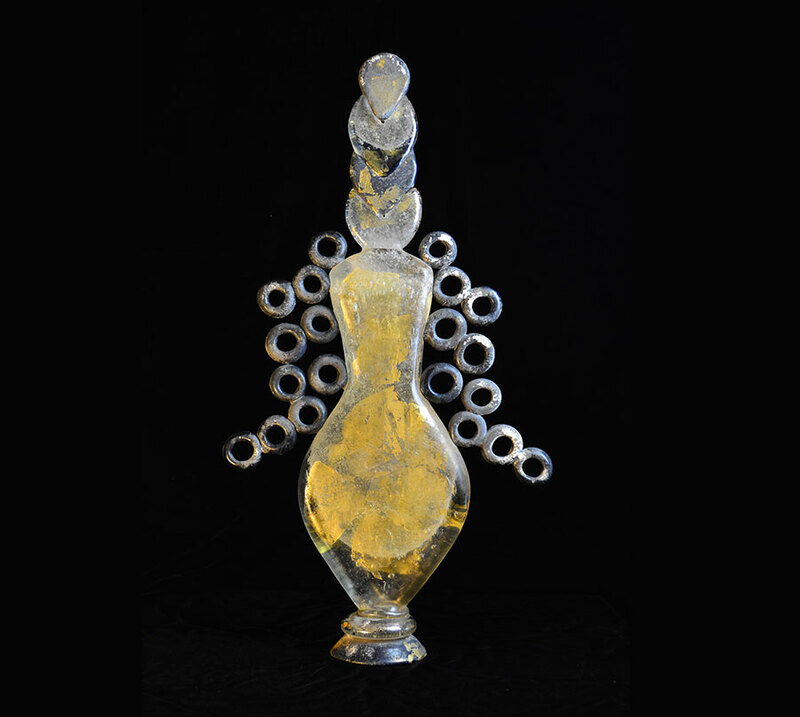 By learning and working with the old masters in Venice starting in 1976, to purchasing the Belltower for my glass studio in upstate New York, glass is a fascination in which I am continually engaged. It is a complex, and an endlessly beautiful material. 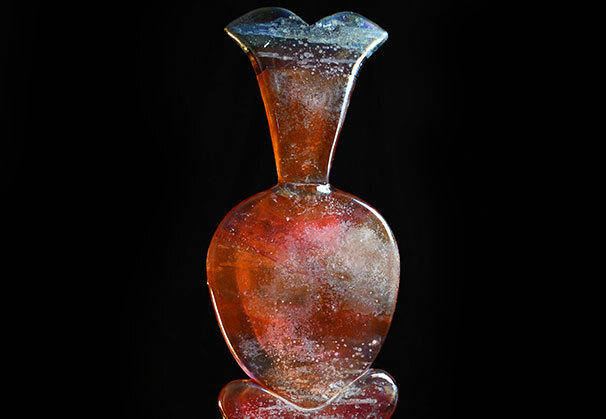 Louis Sclafani’s exploration in glass began as an undergraduate majoring in ceramics at Alfred University, Alfred, New York. In 1976, Louis spent a semester abroad studying ceramics at the Siena School of Art, Italy. On a field trip to Venice, he found himself fascinated by the glass of Venice and the Island of Murano. 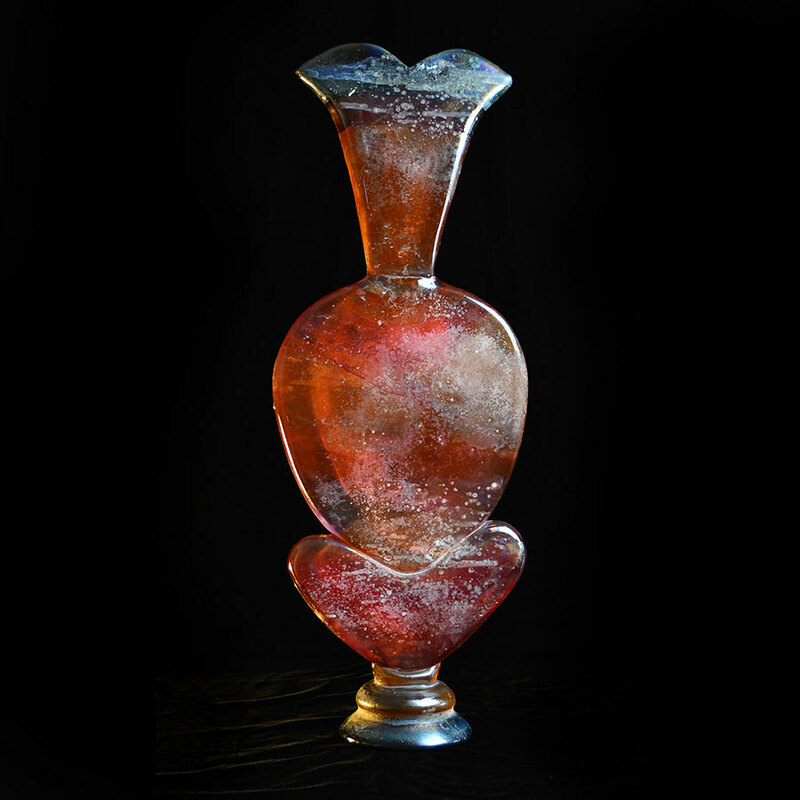 He secured an apprenticeship with renowned glass sculptor Loredano Rosin and returned to Venice soon after to launch deeper into the world of glass. While living in a tent on a roof top behind Loredano’s studio, he learned from the best and found his own artistic direction. This “summer” job would last three years. His experience in Venice since 1976 has given him an extended family and the pleasure of working with Davide Fuin, Pino Signoretto, Loredano and Dino Rosin, Elio Quarisa and befriending Carlo Tosi Caramea, Lino and Lina Tagliapietra, and the Rosin and Fuin families. From 1980 to 1983, the Louis Sclafani Design Studio was formed in Port Chester, New York, producing for Tiffany & Company. In 1985, the studio was moved to Rosendale, New York, where Louis bought and renovated a Dutch Reformed Church built in 1896. The building is known today as The Belltower. In 1988, William Morris invited Louis to Pilchuck Glass School to work as a gaffer. 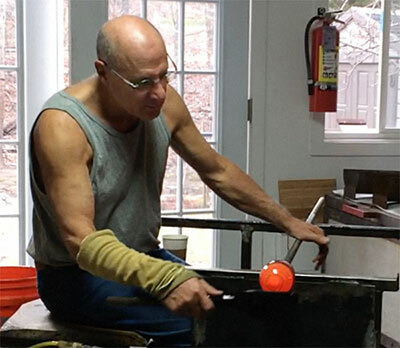 For the next eight years he returned to Pilchuck as an instructor and co-instructor with Loredano Rosin and Pino Sinoretto. In 1998, he was hired as an instructor and gaffer for the Waterford Crystal Project in Waterford, Ireland. 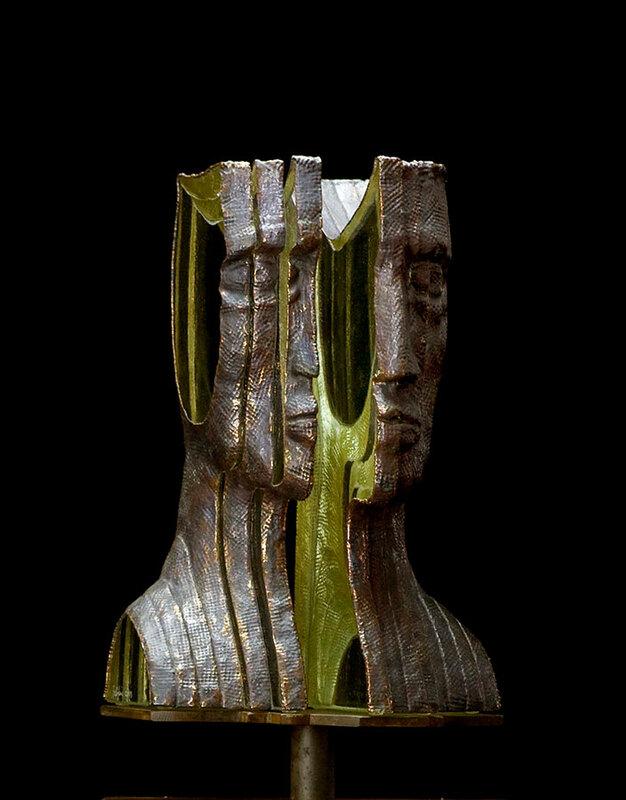 He participated in the Arts for the Embassy Program through the Marine Littleton Gallery in Washington D.C.
Louis’s work is included in many private and public collections such as the Renwick Gallery of the Smithsonian Art Museum, Tampa Museum of Art, Museum of American Glass, and the Prescott Collection in Seattle. 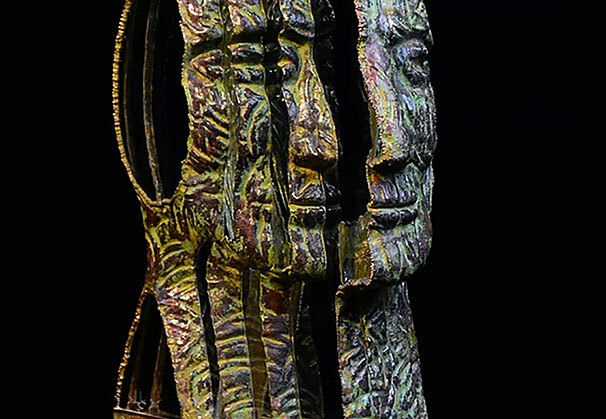 We are grateful to Ai Bo Gallery, Greenwich, Connecticut, for providing the Artist of the Month.